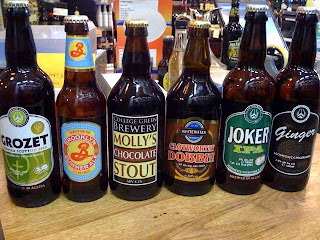 Thursday March 4th is our first Beer Club Meeting since the Festival. As you can see from the Line-up on your left, I've decided to run with the theme of ''No Theme''. 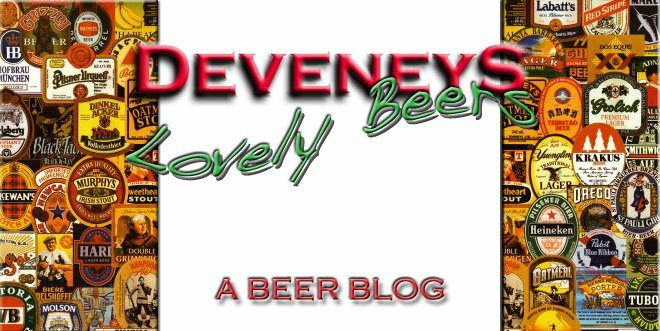 Just a mix of new gear and a couple of Favourite's from the Deveney's Beer Festival. For all those hardened club members it's the usual drill. For all you new attendees, It's a very informal Tasting where we drink Beer and chat. Labels: March 2010 Beer Tasting. Well, there's a vaguely Celtic theme there, except for the Brooklyn Summer Ale. Or is it for the long hot Irish summer? Will I be seeing you and Dara? Yep, I'll be along. Though travelling solo this time.